The New Scientific Statement from the American Heart Association (AHA) has just been published and it identifies cardiorespiratory fitness (CRF) as a vital sign, which should be used in clinical practice. Plethora of evidence points to CRF as a better predictor of adverse health outcomes than the traditionally utilized risk factors such as high blood pressure, smoking, obesity and type 2 diabetes. CRF is either directly measured as maximal oxygen uptake (VO2max) using cardiopulmonary exercise testing or it is estimated as exercise capacity from an exercise test. Even very small improvements in CRF were found to associate with significant reductions in risk of developing heart disease and dying prematurely, improved cardiovascular outcomes, and improved outcomes for certain forms of cancer, surgical risk, dementia, Alzheimer’s disease, depression and Type 2 diabetes. Yet, while low CRF is one of the most important factors when determining health outcomes, it is often neglected by clinicians in the risk assessment of patients. “With the increase in lifestyle-related diseases around the world, estimated fitness is an easy, cost-effective method that could significantly help medical professionals identify people at high risk and improve patient management,” says co-author Carl J. Lavie, MD, and lead cardiologist from the John Ochsner Heart and Vascular Institute, New Orleans, US. “Routine estimation of CRF in clinical practice is no more difficult than measuring blood pressure. The addition of CRF for risk classification presents health professionals with unique opportunities to improve patient management and encourage lifestyle-based strategies designed to reduce cardiovascular risk”, says Dr. Wisloff, Head of K.G. Jebsen Center of Exercise in Medicine at Norwegian University of Science and Technology, and the last author of the statement. “The evidence reviewed by our writing group clearly demonstrates that more than half the reduction in cardiovascular disease mortality occurs in response to a very modest increase in CRF. This is good news as for many people, moderate levels of physical activity that increase fitness level may be all that is needed to derive a clinically significant benefit for habitually sedentary individuals,” says Dr. Ross of Queen’s University in Kingston, Canada and first author of the statement. One of the calculators for estimating fitness that the AHA suggests should be used on a regular basis by both the medical professionals and the general public was created by the researchers at K.G. Jebsen Center for Exercise in Medicine at NTNU. The calculator has been used by more than 5 million people worldwide, with the number of users increasing daily. 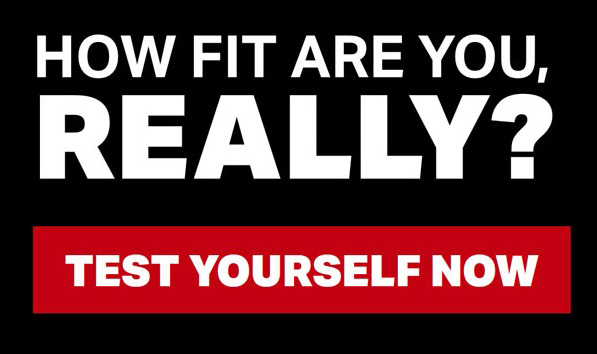 The fitness calculator is freely available online and as App for Android and iOS. Interesser: Friluftsliv, bøker og lesing. CERG har blitt medlem EPINOR, den nasjonale forskerskolen innen epidemiologi. Fem norske universiteter og tre forskningsinstitutter utgjør EPINOR konsortiet. EPINOR-nettverket består i dag av omtrent 150 PhD-studenter og deres tilknyttede forskningsmiljøer. CERG has become a member of EPINOR, the national research school in population based epidemiology. Five Norwegian universities and three research institutes make up the EPINOR consortium. Today, the EPINOR network consist of around 150 PhD students and their associated research groups. Physical inactivity is one of the major health challenges of our time. Health authorities advise us to be physically active because there is convincing evidence on the health benefits of physical activity. 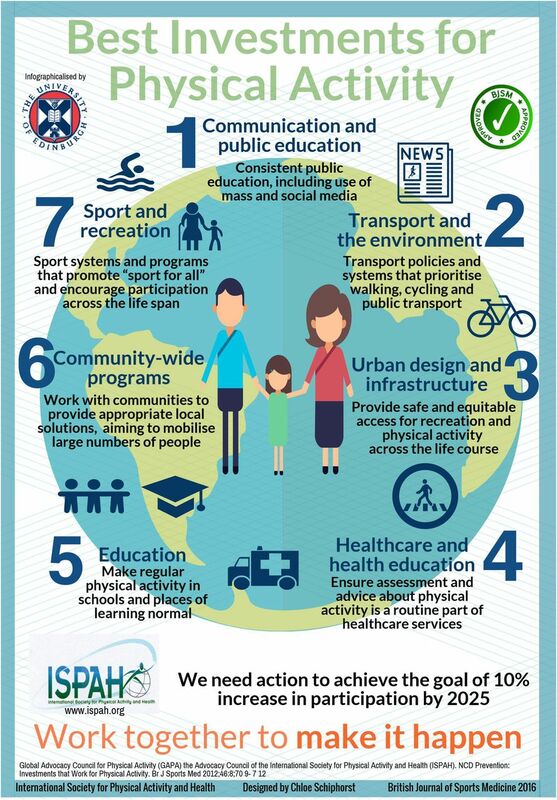 Still, only about 30% of us reach these recommendations, and this is due to a combination of increasing mechanisation, digitisation, motorisation and urbanisation that continues to inexorably squeeze essential physical activity out of our daily lives. It is therefore a global goal for all countries to reduce physical inactivity. The Toronto Charter for Physical Activity has good documentation on how to increase the proportion of physically active . In this context, Scottish researchers have adapted the contents of the Toronto Charter in an infographic to illustrate the content of this important document. This is made in a form that can easily be shared as a picture on popular social media like facebook, twitter, etc.. The idea is that the figure should communicate the key messages in seconds, and act as a guide to the Toronto Charter. Let’s hope that the figure runs its course in social media. Fysisk inaktivitet er en av de store helseutfordringene i vår tid. Helsemyndighetene anbefaler oss å være fysisk aktive fordi det finnes overbevisende dokumentasjon om de helsemessige fordelene fysisk aktivitet gir . Likevel oppfyller bare om lag 30% av oss disse anbefalingene, og dette skyldes en kombinasjon av at økende mekanisering, digitalisering, motorisering og urbanisering fortsetter å ubønnhørlig presse fysisk aktivitet ut av vårt daglige liv. Det er derfor et globalt mål for alle land til å redusere fysisk inaktivitet. Basert på Toronto-charteret for fysisk aktivitet har man god dokumentasjon på hvordan man kan øke andelen fysisk aktive . I denne sammenhengen har Skotske forskere tilpasset innholdet i Toronto-charteret i en infografisk figur for å synliggjøre innholdet i dette viktige dokumentet. Dette er laget i en form som enkelt kan deles som et bilde på mye brukte sosiale medier som facebook, twitter, etc. Tanken er at figuren skal kommunisere de viktigste budskapene i løpet av sekunder, og fungere som en veiviser til Toronto-charteret. Så får vi håpe at figuren går sin gang i sosiale medier. Nitric oxide and exercise: what is the deal? Nitric oxide is a gas which is soluble in the human body, and scientists who studied and elucidated physiological role of nitric oxide were awarded a Nobel Prize in 1998. While nitric oxide is responsible for a variety of functions such as mediation of neurotransmitters in memory and learning, it has received a great deal of attention in exercise physiology. Some have suggested that nitric oxide could be ergogenic aid, or in other words, enhance athletic performance.